So how exactly was I able to fit my medley of holiday dresses into a carry-on, you asked? Easy. 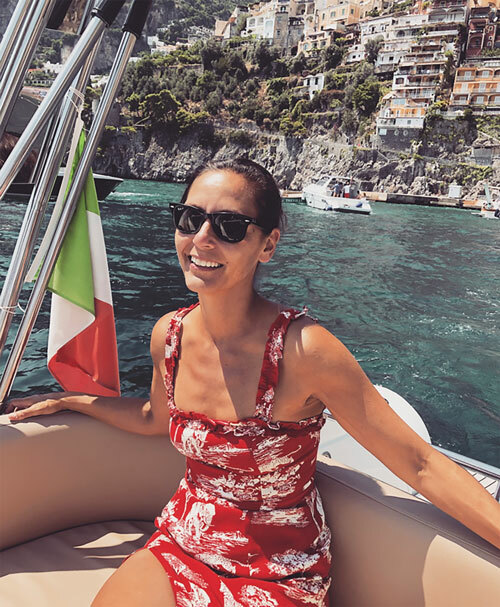 I only packed styles that straddled the sea to city gap: ones that can be worn with beachy essentials (i.e., swimsuit, Havianas) and concrete-ready extras (elegant sandals, both high and low), such as the Reformation dress, above in Positano and below, in Kensington. Okay, so London's heatwave helped me streamline my suitcase, but I did have two cozy cardigans on hand, just in case, that I tucked into a weekend-bag sized Gucci (AKA: my other personal carry-on), which also accommodated my lightweight cover-ups, bikinis, and sandals. Next up for me this summer is another surf and turf vacation, with time spent in both the Hamptons and in New York City. You can be sure I will employ a similar packing strategy, but with some (hopefully) new options in the mix, including this flowy H&M, this floral Veronica Beard, this Draper James denim wrap dress, this romantic LoveShackFancy, this dramatic Free People, and this tiered Wayf.